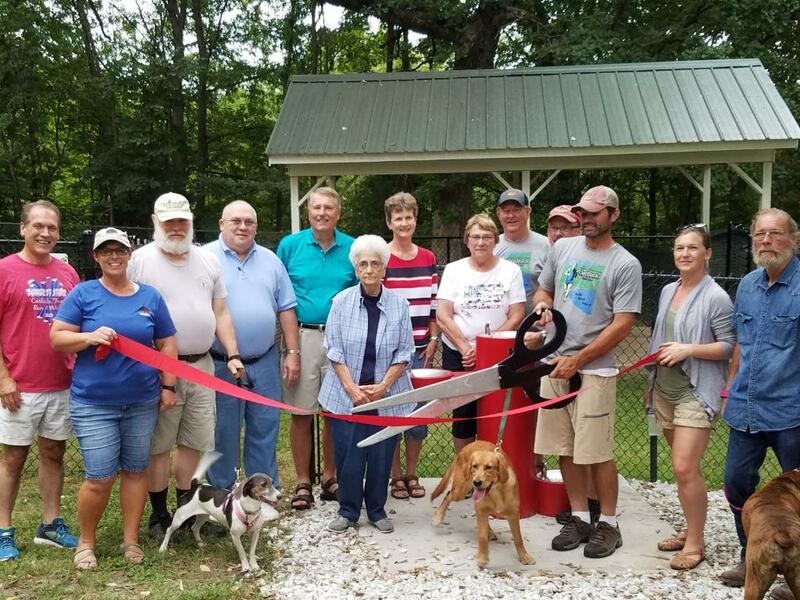 The Carlisle Dog Park had it’s ribbon cutting on Sunday August 19th. Thank you to Friends of Carlisle Parks, Hometown Pride, and City of Carlisle staff who coordinated the needs and items necessary to make it a reality. Thank You also for the generous donation that made this possible! The Dog Park is located at North Park on the EAST side of the park. It has a separate area for large dogs and for small dogs. A water fountain is available for your thirsty dog after their playtime. The dog park is FREE to use! Remember to Scoop you Poop! The Parks department is requiring registration of canines that will be utilizing the area. Registration forms can be found at Carlisle City Hall or click on the link below to access the registration forms.